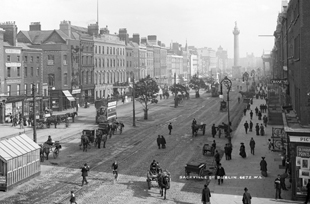 Were any of the men in in your Irish family tree lucky enopugh to be be freemen of Dublin City? You can find out with the release of our newest Irish directory record set the Freemen of Dublin City 1774-1824. The Freemen of Dublin City derives from a nineteenth century printer’s gallery which never reached publication. The list covers almost 6000 men admitted to the Freedom of the City of Dublin between 1774 and 1824. The list is predominately made up of tradesmen and craftsmen, including makers of furniture, silver and clocks but also includes masters of other branches of the fine and applied arts.